The source of reference material for all styles of electronic music. The Theme Park is home to the EEI Zine List, the EEI DJ List,the DIY Tour Guide as well as other resources. Doktor Joy's UK Gothic Site which also includes Industrial events in it's listings. UK site with many Industrial reviews. Home Of The Best Industrial Bands. Mega Cool Site Featuring Female Industrial & About Time. An Independent Label Of of 'Unusual', Difficult & Introspective Artists. Hurling weirdness at your life now! Catering for those that prefer a harder edge. Britain's Longest-Running Fantasy Media Magazine. The newsgroup for fans of industrial music. Read the R.M.I. FAQ which is posted periodically, you'll find some useful information and of course, the real meaning of KMFDM. A low traffic newsgroup. Contains crosspostings more than anything. You are best advised to post in R.M.I. Electronic Body Music (considered a sub-division of the broader "Industrial" tag) newsgroup. Discussion of bands like Front 242, Front Line Assembly, Leather Strip and so on. 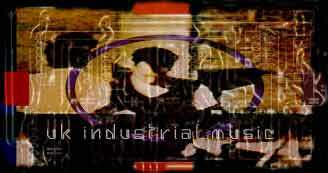 all the Industrial Music sites on the Web. Use the controls below to explore the RivetRing. Want to learn more about the RivetRing?